We’ve known for a while that three soul reapers from Bleach would be in Bandai Namco’s upcoming arena fighter, Jump Force. Ichigo Kurosaki, Rukia Kuchiki, and Sosuke Aizen were all confirmed as playable characters. And though we’ve seen Ichigo in-game before, publisher Bandai Namco Entertainment has dropped some new screens, showing Ichigo’s hot-blooded spirit. According to a post by DualShockers, “We get to see him in action against Zoro and Luffy from another of Shonen Jump’s popular franchises, One Piece. Looks like this time around Luffy and his crew are having a hard time against the shinigami.” Shinigami translates to death god in Japanese, and with Ichigo being a Soul Reaper, it would only make sense that he would be called the shinigami in the game. You can check out the new batch of screenshots below. 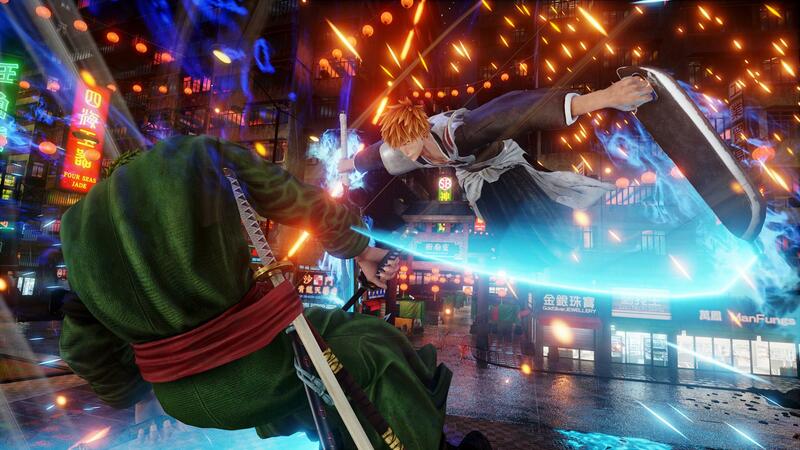 Jump Force is expected to land in North America sometime in 2019 for PC, PlayStation 4, and Xbox One.